This time of year is always the busiest for me. I put in long hours of stitching to fill orders, and somewhere in between find small crevices of space to make gifts for family and friends — the key word being make. In what can be a very hectic and stressful time of year, I find it much more rewarding (and enjoyable) to sit and create a unique present for someone, rather than battle crowds in stores. This is how most of the items in my collection came to be; they started as gifts, evolving over the years in design and form. I have many friends and family to thank for their help with the fine-tuning process. One of those friends is Ohma Felt, the maker of the hand-dyed felt that I use in all my projects. 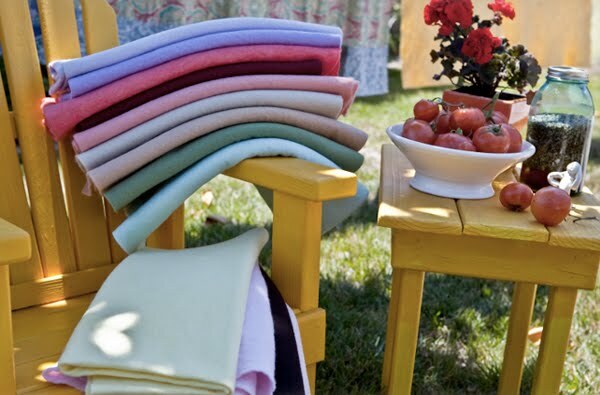 Over the years she has developed the felt so that it's just the right thickness (heavy but easy to stitch), has a lovely texture, and comes in a range of great hand-dyed colors, many of which are inspired by our respective gardens. Should your stitching projects require large pieces of wool felt, I encourage you to order wool felt directly from Ohma.com— the large sheets are about 30 x 30 inches. 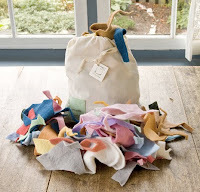 But if it's a just small project that you need felt for, and you're looking for an assortment of smaller scraps, I offer drawstring cloth bags of Ohma's felt scraps, full of a variety of colors in all shapes and sizes. 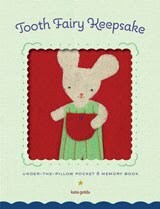 If you're not sure where to begin and want some guidance with your holiday gift-making, Kata Golda’s Hand-Stitched Felt has easy-to-follow patterns for felt projects that are suitable for children and adults alike. To help make it even easier for beginners, I’ve put together DIY kits for each project that contain the felt, thread, and any other accessories you might need to complete your project. The framed felt patch, for example, is available in 3 different designs (boy bunny, girl bunny, and giraffe). Each comes with felt, thread, and a wood frame; colors vary depending on which design you order. These make for nice decorations in a baby's nursery or child's bedroom. The mug cozy with a built-in-coaster is an easy-to-make afternoon project, and will keep your beverage warm and your table surfaces protected. The kit comes with felt, thread, button and a white earthenware mug. The journal is another project that doesn't take much time, especially since the DIY comes with the pre-cut paper you need for the inside. It has lots of uses—it can also be a sketchbook, recipe book, or mini-scrapbook. I like to make mine into a calendar; it fits easily into my bag and gives me a place to keep my to-do lists. 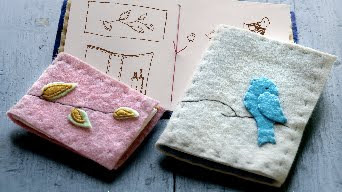 There are 2 designs to choose from (bird or leaves), with each kit containing the thread, felt and paper. And if you want something a little more involved — but still not too challenging — the stuffed animal projects (whose kits include stuffing) are fun and come in a range of designs for boys and girls, such as rabbits (shown below), dogs and mice. 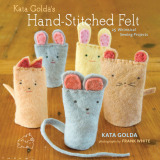 Just remember that to make these projects you’ll need to reference Kata Golda’s Hand-Stitched Felt for the patterns, as the DIY kits only contain the materials. If you have any questions, feel free to contact me. Good luck with your gift-making! 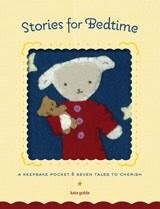 i just ordered your book and I can't wait to get it.. i love felt and can't seem to find many project books.. love your work.. cute as can be.. I'm on my way to get the book. Your work is amazing! !